Posted in: Crime Stoppers, Media Release, Put A Name with This Face, Reward, WANTED. Tagged: McClellan. Franklin Police and Crime Stoppers are offering a cash reward for information about either of these thieves. 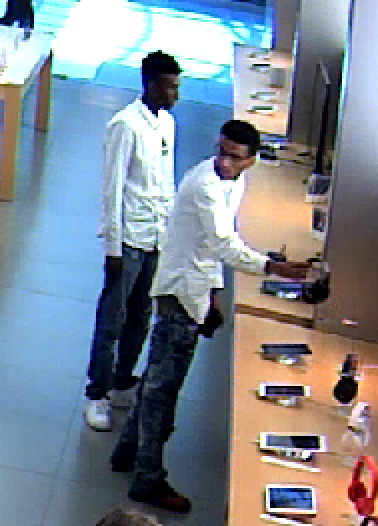 They are wanted for stealing a pair of Beats brand headphones from the Cool Springs Apple Store on May 18.